Program held on 31ST JULY 2007 , won you the Lottery in the Thunderball. notification as regards this Email. subsequently won you the lottery in the Email Lottery (e-Lottery�). KTU/9023118308/03. and Draw Number: 1120.
and we had more winners in the past with greater prizes than this. Lottery Agencies in the whole world. the Olympic Games in 2012 (The �1.5bn Olympic lottery puzzle). was selected by our E.L.D.S. 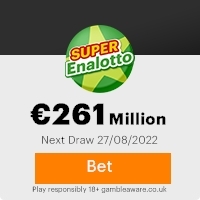 (e-Lottery�) randomly. of your funds as soon as you contact them. This Email with the Subject "WINNING NOTIFICATION" was received in one of Scamdex's honeypot email accounts on Tue, 21 Aug 2007 23:26:25 -0700 and has been classified as a Generic Scam Email. The sender shows as "Darryn Clarke(Mrs)" <info@snl.com>, although that address was probably spoofed. We recommend that you do not attempt to contact any persons or organizations referenced in this email, as you may expose yourself to scammers and, at the very least, you will be added to their email address lists for spam purposes.